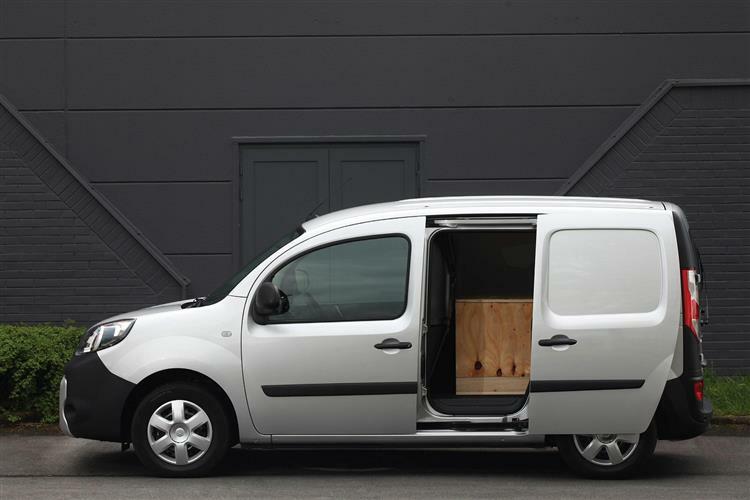 The improved Phase II version of Renault's Kangoo Van comes in two distinct bodyshape sizes in a bid to cover the main bases in the compact van market. There's also a Crew van option and even a Z.E. 33 all-electric version. Whichever model you choose, you'll find it well-built, pretty practical and pleasantly styled with an economy-focused engine range. If you're buying in this sector, this is one of the models you need to consider. 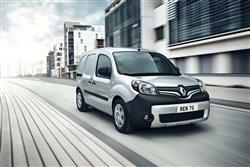 Renault's Kangoo Van range has evolved in Phase II form. It's smarter and, under the bonnet, you'll find it more efficient. 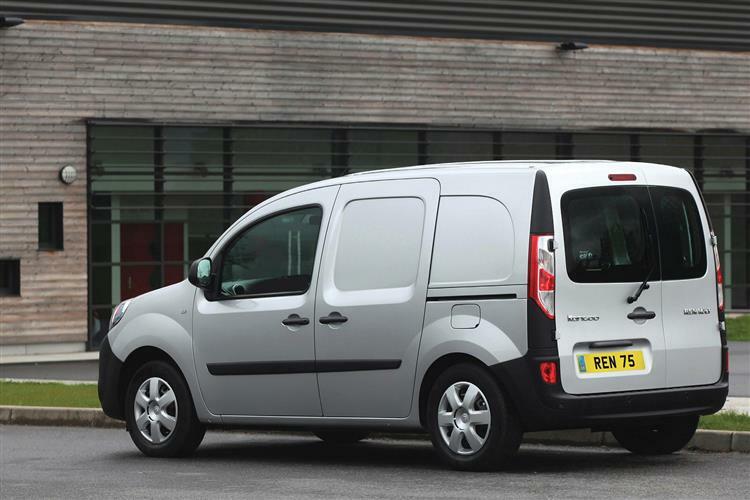 Though you no longer get a very compact version, the standard and lwb 'Maxi'-shaped models offer enough variety for most business considering this model against rivals like Citroen's Berlingo, Vauxhall's Combo and Volkswagen's Caddy. Like all of these models, this one prioritises urban manoeuvrability, while larger versions are sized no larger than an ordinary family hatchback, yet offer carrying capacity edging up towards the Transit Custom or Renault Trafic-sized vans in the next class up. So why buy a Kangoo? Well, it ticks all the right boxes when it comes to low running costs and versatile practicality, plus it's very driver-orientated, the plush cabin even offering the option of Renault's latest R-LINK Multimedia system. 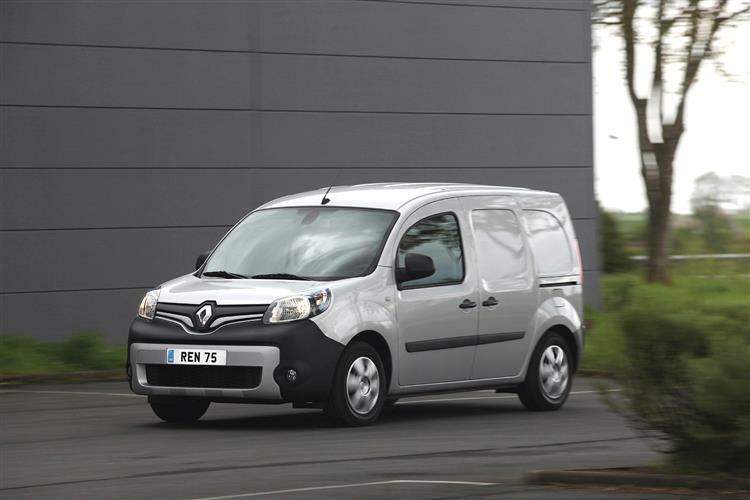 All Kangoo models have great forward visibility, courtesy of the extensive windscreen and truncated bonnet, while the well-weighted steering and positive gearchange also impress. At the wheel of this Renault, you sit very upright, but quite comfortably thanks to the fact that both driver's seat and steering wheel are height-adjustable, plus there are remote controls for the stereo on the steering column. On country roads, the wide track means that there's actually a reasonable amount of grip, whilst in town, light electric power steering makes it easy to slot into tight spaces, although until you get used to the shape, judging the extremities of the car during parking manoeuvres can be slightly difficult as the bonnet slopes away from you. Performance is leisurely, with even the fastest diesel models taking around 13s to reach sixty from rest on the way to just over 100mph. Almost all customers choose a 1.5-litre dCi diesel that's offered in 75 and 90bhp outputs, though you can get a 1.6-litre petrol automatic with 105bhp if you really want to. All variants can haul a braked trailer grossing at 1,050kg but if you're going to be doing that very often, we'd suggest you choose the range-topping 1.5 dCi 110bhp Kangoo Van Maxi engine, which puts out a useful 240Nm of torque. That means fewer gear changes for diesel drivers and a much more leisurely feel, especially when towing. The other option is the all-electric Z.E. 33 variant with its 60bhp output and operating range of around 170 miles between charge-ups. 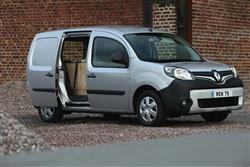 There's a revised front end to distinguish this Phase II Kangoo but none of the things that matter have really changed. Whichever bodystyle you choose - the 4.2 metre-long Van or the 4.6 metre-long Van Maxi - the cab is pretty much identical. Even on the largest Kangoo, because the windscreen is placed well forward of the driver, the impression is that you're at the helm of a much bigger vehicle than you really are. Because this model doesn't have a raised roof, even in this biggest Maxi guise, its overall height of just 1.82m means it's compact enough to use in city centre car parks. Inside, the basic dashboard design is still very user-friendly with its aviation-style handbrake designed to minimise strain on the wrist and dash-mounted gearlever. Certainly, by the standards of the compact van market, quality of fit and finish is impressive. The upright driving position also facilitates easy entries and exits. An enormous amount of headroom is present in the front of the Kangoo, enough so that all kinds of elaborate headgear could be accommodated should the occasion arise. Though there's no optional middle seat of the kind that some rivals offer, space for driver and passenger is more than adequate, with only the passenger legroom (slightly restricted by the sloping floor) giving any cause for concern. If you need to carry more than one passenger, then it's worth checking out the Maxi Crew Van variant. 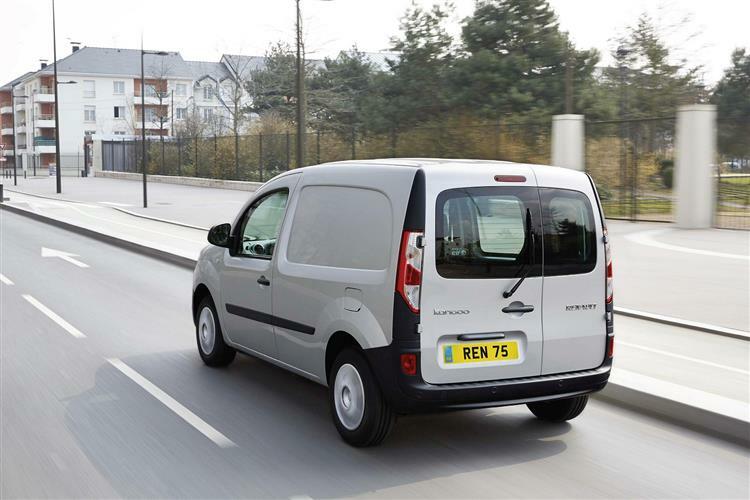 Whether you go for a Kangoo Van or Kangoo Van Maxi model (the last-named also being offered as a 5-seat Crew Van), the engine choice is pretty simple. Nearly all buyers of the smaller bodystyle are directed to the 75bhp 1.5-litre dCi common rail diesel unit that crops up in all kinds of Renault models. You can get it in 90bhp form in the Van version, but if you're going to do that, you might as well go the whole hog and have a bigger Kangoo Van Maxi, which offers either 90 or 110bhp 1.5 dCi diesel power. There's also a 1.6-litre petrol auto version with 105bhp. Or a fully-electric Z.E. 33 version, offered with both bodystyles. Whichever Kangoo you choose, you get a decent level of standard equipment, with items like Bluetooth, USB and iPod connectivity, a trip computer, power windows and mirrors, finger-tip remote controls for the CD stereo, plus remote central locking that allows you to lock and unlock the rear doors separately, while all the doors lock automatically when you drive off. Safety equipment includes an advanced ABS system with brake assist, a driver's airbag and pretensioner seatbelts. ASR traction control and ESC stability control are available as options on the largest models. And you can specify Renault's R-LINK multimedia system. So, which of these Kangoos is going to suit your business? It isn't quite as straighforward as simply choosing the right bodysize - either the 3.0m3 Kangoo Van or the 4.0m3 Kangoo Van Maxi - as in each case, there's the option to specify a fold-forward front seat that can boost said figures by around 0.5m3 in each case. All models can squeeze in a standard Europallet thanks to the 1218mm width between the wheelarches that all Kangoos share. You wouldn't have to lift said pallet too far off the ground to get the thing in either, thanks to a user-friendly loading height of 575mm. Plus you'll be able to cram in a few of them, thanks to 1129mm of total cargo bay height - or 1190mm in the Maxi model. 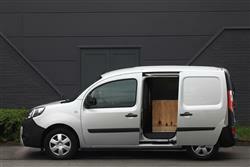 Loadspace length is 1731mm in the Kangoo Van and 2115mm in the Van Maxi. That may mean you'll find yourself carrying heavier loads. Just as well then that the payload allowances are quite generous. 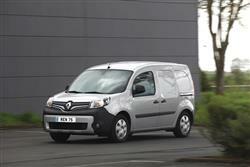 In the Kangoo Van, they vary between 667 and 819kg and can range up to 833kg in the Maxi model. 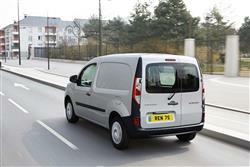 There's a sliding side door on the Kangoo Van and Van Maxi models, with the option of a second on the opposite side. It opens with a tug on the reassuringly chunky handle to reveal a door aperture 636mm wide and 1130mm high. As for running costs, well, Renault says it's worked hard in this area, though the 12,500mile service intervals aren't especially long. A 3 year/100,000 mile warranty is provided, with no mileage limit for the first two years and roadside assistance for the entire duration. You also get a 3 year paintwork guarantee and a 12 year anti-corrosion warranty. CO2 figures can be as little as 112g/km and fuel consumption on the combined cycle can be up to 65.7mpg on the combined cycle, depending on the bodystyle you choose. Given that no lesser industry light than Mercedes has based its own compact van upon it, you'd expect the Kangoo to be good. As it is in Phase II form. The ZE all-electric version still sets a new standard in its segment, while running costs are even more competitive than before. You'd also be quite shocked by just how much you can fit in the top Maxi version - enough to make you question whether a supposedly bigger Transit Custom or Vivaro-sized mid-range van model is really necessary. 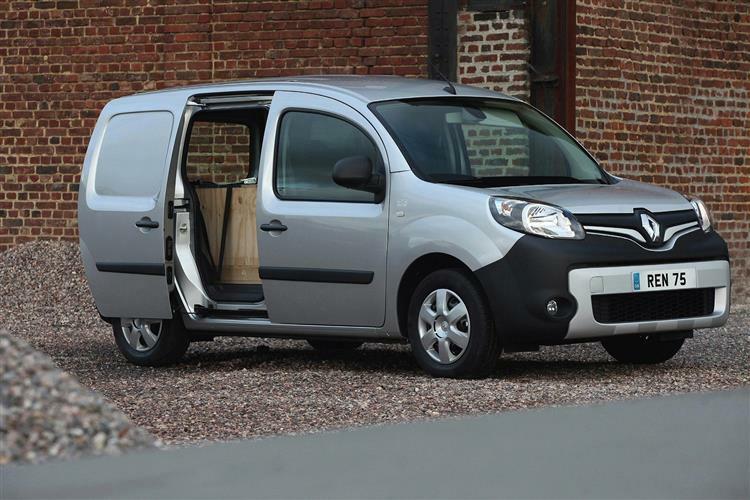 Add in decent general ride comfort and the solidly-built interior and this Renault becomes a compact LCV that it's impossible to ignore. Whether or not you buy one may well all come down to the price you get and the proximity of your local franchise - in which case Renault dealers will likely feel quite confident in driving forward your business at the same time as driving forward theirs.